Facebook users are still trying to find their way around the new 360 photo feature. This was witnessed from the onset when Mark Zuckerberg made the announcement of the release of 360 photos. The comments and questions that asked in Mark’s post was a clear indication that many users did not quite get how it works. This prompted several tutorials to be created in a bid to assist the users to make the most of this interesting feature. 360 pictures are essentially a virtual tour around the environment where the original photo is captured. With this feature, you are able to come up with spectacular photos that will allow your connections to view your surroundings in an interactive viewer. 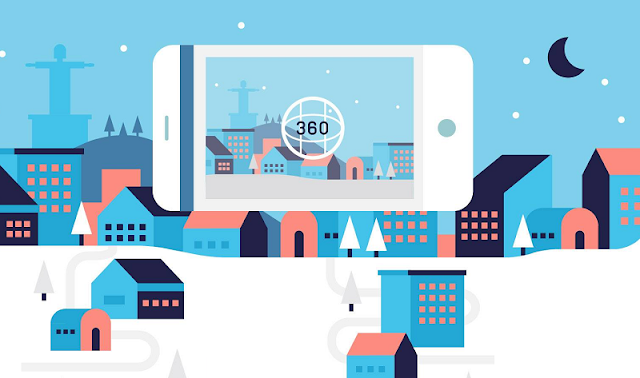 With this feature all users are able to access the 360 photos using their smartphones. The 360 photo tool on Facebook may take some time for users to fully come to terms with it. You would need some level of patience and continuous practice so as to become a pro at it. All in all, this is one of the most exciting additions to the Facebook family. The distinguishing aspect with the Facebook 360 photos is the fact that you can use your phone to capture these photos. Most users still try to understand how Facebook will recognize 360 photos and tell them apart from normal photos. Ideally, Facebook looks at the camera-specific metadata, which can be derived from the photos that are captured. As far as sharing of such photos goes, you will only need to upload the photo and Facebook will do the rest of it. Your panoramas will be processed and presented in an interactive viewer, which allows users to have a full 360 view of the photo. As mentioned earlier, Facebook will use the camera-specific metadata to recognize 30 photos. This is made possible by looking at the XMP and/or Exif tags that are embedded on a specific photo. The Google Photo Sphere XMP metadata is one of the most common tags used in 360 photos. The Exif tags are also used to prompt the 360 processing on Facebook for the photos. This is mainly based on the make and model of the camera that is being used to take the photos. This is a secondary option in the event that a photo does not have XMP metadata. There are so many options that you may explore if you want to edit a 360 photo. You can opt to use Photoshop, iPhoto or any other photo editor that is supported by Android or iOS. You can edit the content and hue on the photos to have the type of photos you need. However, there is a danger that you might make it hard for Facebook to recognize the pictures are 360 photos. You should try to capture great 360 photos that may not require editing. While most people are still struggling with 360 photos on Facebook, the infographic below, created by Ereviews*, gives you more information on this amazing feature. Explore this infographic data so as to comprehend Facebook 360 photos.